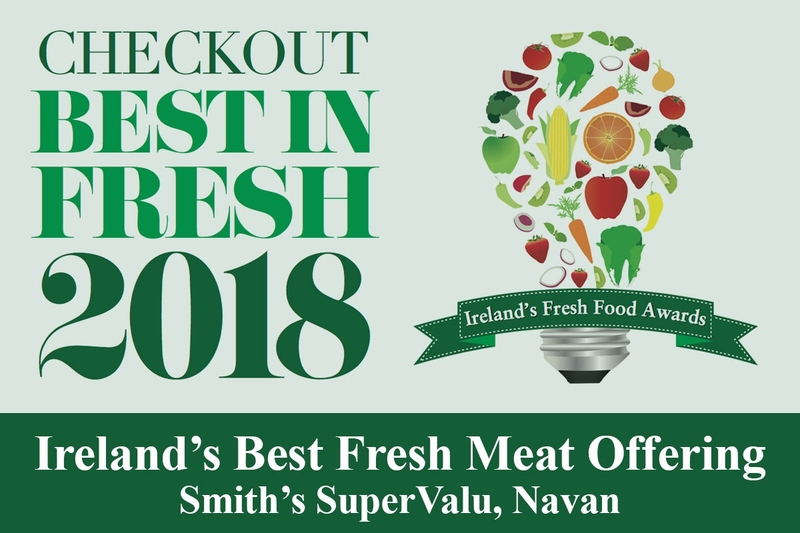 Congratulations to all at Smith's SuperValu, Navan on winning the "Best Fresh Meat Offering" at the Checkout Best In Fresh Awards 2018. The awards took place on Tuesday 3 July 2018 at The Shelbourne Hotel in Dublin. The other finalists in the category were Wallace’s SuperValu, Pettitt’s SuperValu St Aidan’s, Dano’s SuperValu Mallow & McInerneny’s SuperValu Loughrea. 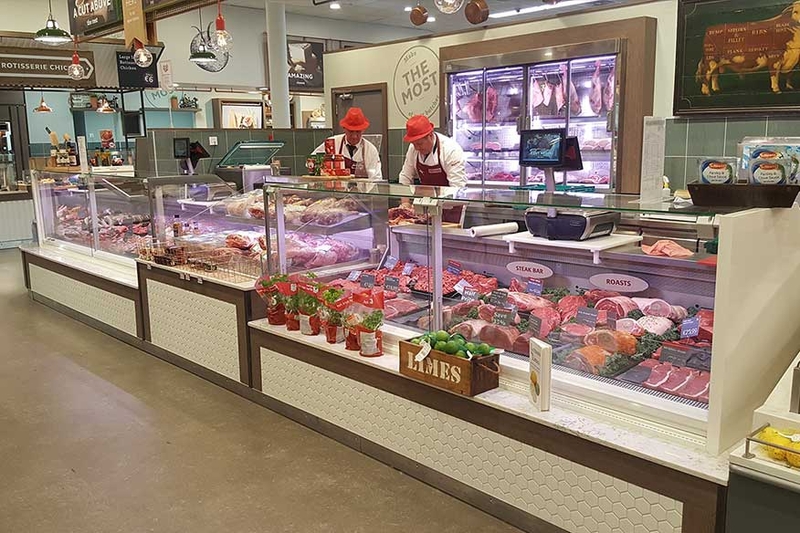 Everyone at Coolrite is proud to have supplied the JBG serveover counters and meat display cabinet at the butchers section of Smith's SuperValu, Navan. The counter features two serveovers with a market deck for pre-packed meat located in between. The most unique feature is a highly polished stainless steel display cabinet set in to the wall at the rear of the butchers area. This display cabinet features hanging rails, movable shelves and special colour enhancing meat lighting by JBG. The Best In Fresh Awards are Ireland’s leading industry awards for fresh food retailing. The awards celebrate the best retail suppliers, retail chains and also the individual stores that excel in fresh food retailing. The Checkout Best In Fresh Awards reward and promote excellence in fresh food retailing in Ireland, with retailers of all sizes and formats honoured. Smith's SuperValu were also a finalist in the Best Presentation of Fresh Food category which was ultimately won by Garvey’s SuperValu Tralee.